The 4915 allows for a maximum of 6 lines, fitted within a 1 x 2-3/4" (25 x 70 mm) impression size. The compatible replacement pad is 6/4915, which is available in the 5 standard colours: black, blue, green, red, and violet. New replacement pads are supplied in multiple packs of three. 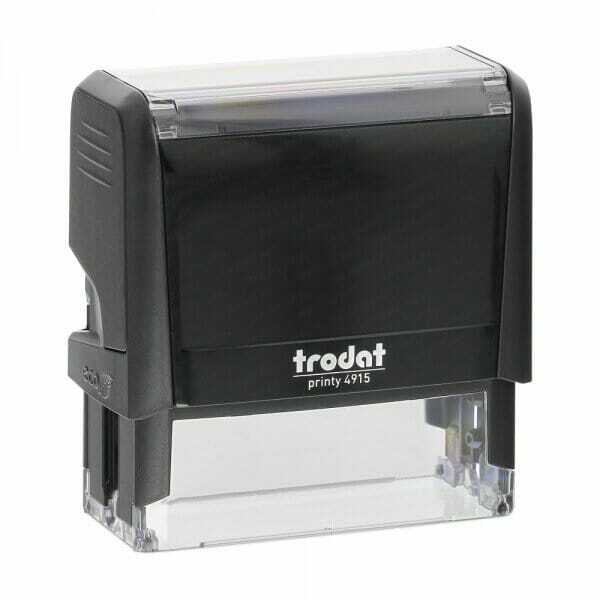 Customer evaluation for "Trodat Printy 4915 1 x 2-3/4" - 6 lines"